The property currently has 27 rental units with Great Redevelopment Potential. It's located on North Monroe Street between the Tallahassee Mall and the down town area, near the Tharpe Street intersection. The adjacent property may be purchased as well, which together will create about a 2 acre "Hard Corner." 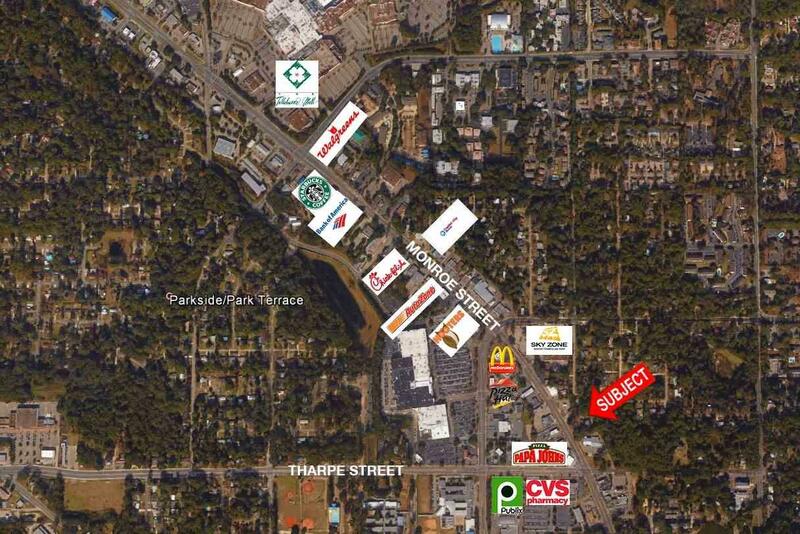 An ideal site for a Restaurant, Bank, Retail Strip, and other opportunities. Retailers located in the area: Publix, CVS, McDonald's, Burger King, Wendy's, KFC, Hooter's, Golden Corral, and many more.